TRANSPark is a mobile application developed for the online community, that is free to download and use whenever and wherever needed. TRANSPark helps commercial drivers and road transport fleet managers easily find and add secure and comfortable parking areas in over 40+ countries worldwide. It was created to prevent freight and fuel theft by listing security features available for each parking area, as well as listing available amenities to improve driver comfort while on duty. TRANSPark’s online community makes it easy for drivers and managers to communicate and stay connected throughout the entire journey. The new check-in feature also helps users discover available languages spoken by drivers in nearby parking areas. TRANSPark compiles data that has been collected over 15 years and verified by National Transport Ministries, in cooperation with the International Transport Forum. TRANSPark combats direct freight related crime by encouraging the development and availability of more secure and comfortable parking areas, and by stimulating cooperation between authorities, parking area owners and transport operators. TRANSPark not only helps reduce organised road crime and secure the entire logistics chain, but it also helps address accurate information issues on crime hotspots for cost-effective investments in parking infrastructure. 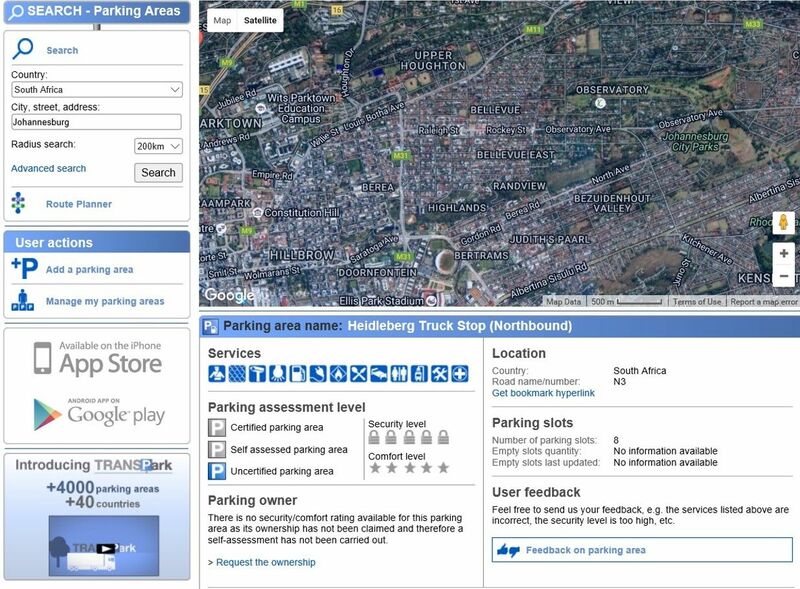 TRANSPark - The perfect app for parking owners/managers. TRANSPark is designed to help public and private parking area owners/managers and authorities reach out to the trucking and coach industries, by promoting their parking areas to those who need them the most – free of charge.